Ice Therapy: Can Cryotherapy be a Holistic Approach to Treat Back Pain? As a chronic back pain sufferer, are you open to try a holistic approach to manage your pain? Recently, I was given an opportunity to try Cryotherapy, also known as ice therapy. This new therapy exposes you to extreme temperatures for short bursts of time to help reduce pain and inflammation. The cold exposure triggers a fight or flight reaction, where your body prepares to deal with perceived harm. In Cryotherapy, however, your body’s response to the extreme cold causes the release of endorphins that have anti-inflammatory properties. Cryotherapy can have many benefits to rid the body of pain, spasms, inflammation, improve sleep and even speed up recovery after injury. 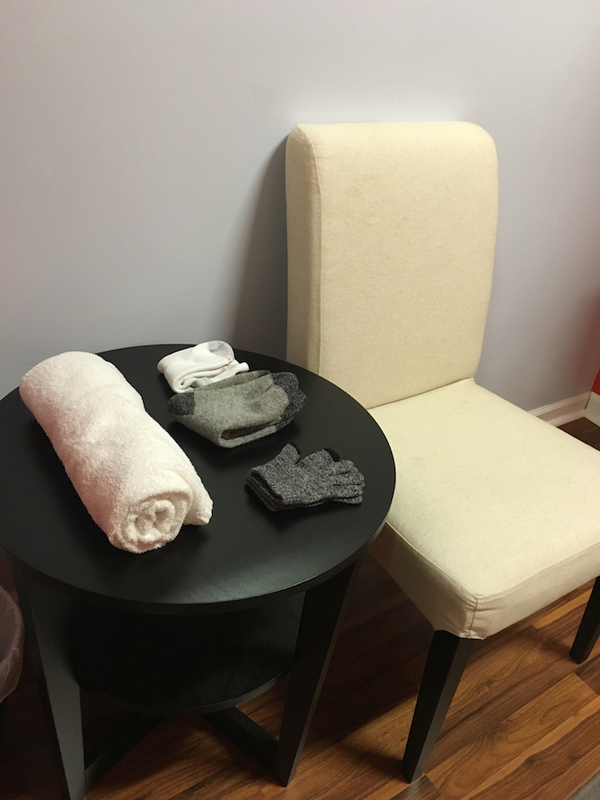 At Cloud Cryotherapy in Pittsburgh’s Strip District, I got to experience the ice therapy firsthand. 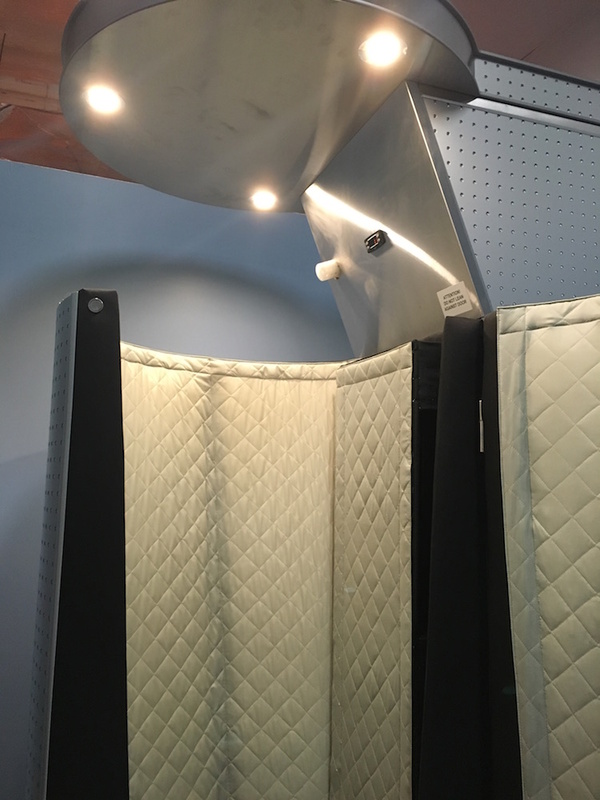 The cryosauna machine engulfs your body in -200 degrees for no more than 3 minutes per session. After gearing up in protective gloves, socks and a robe, I entered the unknown chamber. Inside the cryosauna, I felt like I was surrounded by dry ice. Outside the chamber, Tom stood by and told me to march in place and concentrate on deep breathing during my session. One minute passed, no problem. By the 2 minute mark, I was getting REALLY COLD, especially the backs of my legs. I lasted 2 minutes and 12 seconds for my total cryotherapy session! After the “submersion”, I felt energized almost right away. I was invigorated, and my body which is typically plagued by inflammation, felt surprisingly good! Bonus: I really did sleep like a baby that night! Who else can benefit from cryotherapy? MOMMAs: Hard working, sleep deprived, those with immune disorders or chronic pain, and athletic momma’s. OK – Even the PAPPAs can benefit! During my session, I met Jordan Villella, a professional bike rider. 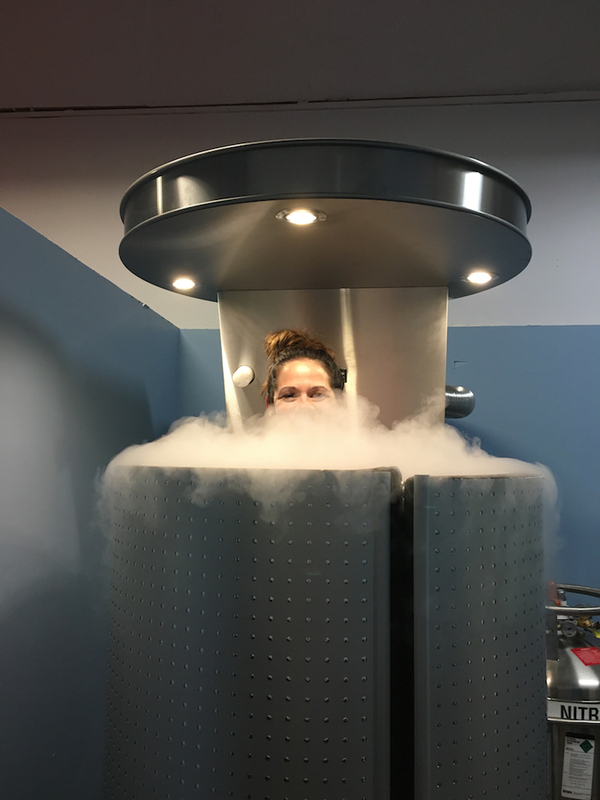 Jordan uses cryotherapy for endurance training. It helps him manage pain in his legs and low back, so he can push the limits even further on his next ride. Maybe there are some people that think Cryotherapy is a little extreme, but it is apparent that ice therapy benefits a wide range of people. I think it’s a great alternative to try before using more-invasive methods to treat pain and inflammation. I don’t know if you’re willing to risk the cold to try this cutting-edge technology, but I’m ready for my next session! PS: If you’re looking for ice therapy you can use at home, try our Recovery wraps!